Susanna White’s adaptation of John le Carré’s novel starts shooting tomorrow [April 26]. Damian Lewis and Jeremy Northam have boarded Our Kind of Traitor. Susanna White’s adaptation of John le Carré’s novel, from a script by Hossein Amini, starts shooting tomorrow in London and the Home Counties, Finland, Bern, Paris, the French Alps and Marrakech for ten weeks, until the end of May. Lewis and Northam join a cast that already included Ewan McGregor, Stellan Skarsgard and Naomie Harris. Set around an English couple on holiday in Marrakech who encounter a Russian millionaire, Our Kind of Traitor is produced by Simon Cornwell and Stephen Cornwell of The Ink Factory, and Gail Egan of Potboiler. The two companies recently collaborated on Sundance premiere A Most Wanted Man. 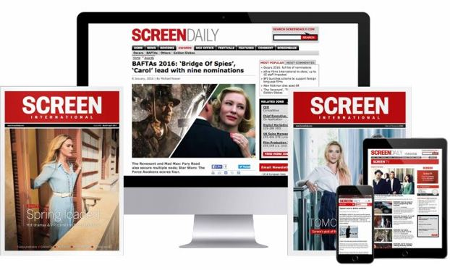 StudioCanal, Film4, Seadune Developments, Potboiler and The Ink Factory developed the script.